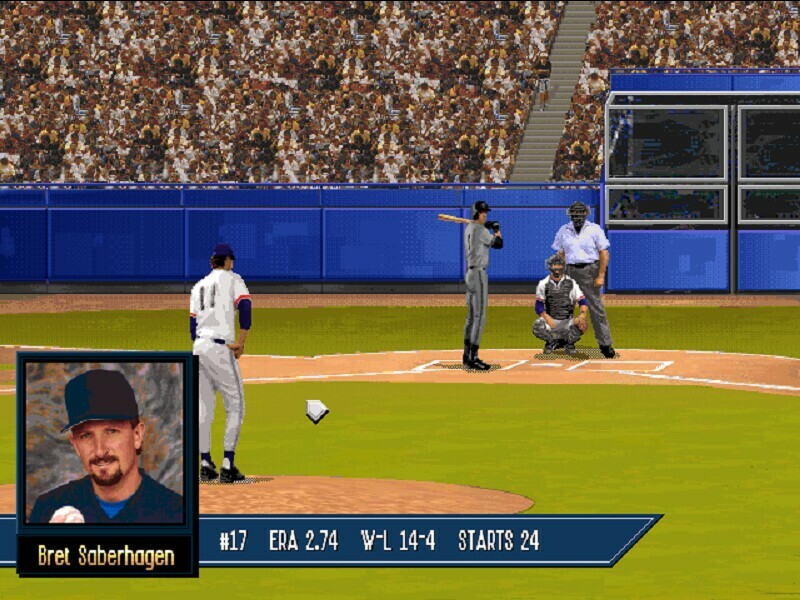 Stormfront Studios produced some of the best baseball games ever released during the 90s. Not surprisingly, when La Russa III appeared in 1995 it was easily the best looking baseball sim available. No other game came close. However, the killer quality for the La Russa series is not actually the graphics. As with the earlier two releases what makes La Russa special is that you can play one game or an entire season with some pretty amazingly comprehensive stats. In fact the game supports 900 players with related statistics. Speaking of statistics, a large volume of situational stats have been added, and I do mean large. You will know how strong Piazza is doing with runners in scoring position, on the road, in a pinch-hitting appearance, in close or late situations, during the month of June, on real grass, and so on. The database simulates the tendencies of every pitcher and hitter versus any opponent they've faced during their careers! La Russa III was the first to do this making it one of the most accurate baseball sims of its time. The most significant statistical enhancements to this edition is are the Head to Head stats. The info is taken from historical data and plays a part in the outcome of an at-bat. Head-to-Head lets you view the likelihood of your having a successful confrontation, whether your controlling the pitcher or the batter. Similarly, the close and late situations, home and away, and related stats, help provide for a realistic outcome with a game. You can see how the batter has performed historically against a pitcher and then you can apply that to the given situation. To put it in perspective: This is exciting because, for the first time in any baseball simulation, you would know how well Eckersley has done against Bonds. If for some reason you want to manage a different team, you’ll be informed by the game if it’s a good idea to bring in Lee Smith to face Frank Thomas or not. This is simply awesome, it’s like having Dave Duncan as your personal advisor! As with the previous two editions, one of the best features is its ability to quickly simulate entire 162 game seasons. The generation routines are good and do not produce a lot of anomalies. Sure, Dante Bichette hitting 67 homers in a season is unlikely, even for Coors Field, but Albert Belle and Frank Thomas managed 45 - 50 homers a season, Randy Johnson dominated, and Greg Maddux pitched like Greg Maddux. Tony La Russa baseball was also one of the first series to develop career play. Even with this achievement La Russa III went further, and became the best hybrid baseball sim, combining managing and playing options, into one game. 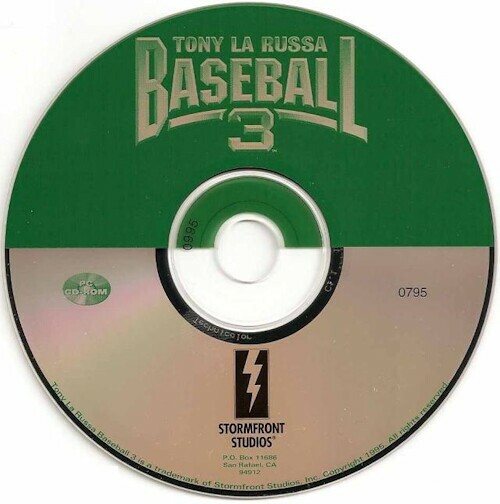 Many baseball sims tend to lead toward one option or the other, but Tony La Russa III was strong on both. There is more flexibility in the Tony La Russa series than in other sims of the time. Players can customize leagues, create players and make trades. In other words, La Russa III got into the nitty-gritty of baseball. And the flexibility does not end there. The series includes a large amount of stack tracking so that you can see when players will be hot or cold. And when you create your own players you can even choose what type of player he will be, i.e. will he start off hot and cool off near the end of the season, or will he be cold in the beginning and be unstoppable at the end? Unlike many of the games now, the Tony La Russa series has a bullpen where you must warm pitchers up before they can be used so it adds a realistic twist. I'm not really sure why many of the games now don't incorporate the bullpen. Most of the games in the years prior to La Russa III had the bullpen feature. In the General Manager area, since you own the team , you make every roster move, trades, drafts -- everything. If you want fantasy, you can trade a couple of minor leaguers for Greg Maddux, or Ken Griffey. You could play an entire season in less than 10 minutes, right through the Fall Classic. In fact, you can play several seasons quickly. See how many HR’s Gant might hit in his career. Players even retire, and some go to the Hall of Fame. It comes complete with awards: MVP, Rookie of the Year, Cy Young, even Manager of the Year. It keeps track of seasonal, post season and even career stats. You decide which famous announcer will call the game, and Mel Allen, Lon Simmons and Hank Greenwald are included. In La Russa III the announcer actually keeps track of simulated pennant races, down to the playoffs and World Series. So you'll hear about Cleveland leading the ALCS three games to one, needing only one more win to advance to the series. In addition to detailed play-by-play and color commentary the announcers are used more in context to the games. They refer to each player by name when pitching, batting, fielding and baserunning. Yet another aspect that heightens the believability of this game. Also noteworthy is the video segments aimed at teaching you the art of baseball managing. La Russa would show up and talk about certain situations and possible options to take when those situations would arise. A very unique idea in 1995, and one of the most colorful that I have seen in a baseball sim. The fielding choices and throws to bases are on the money -- much improved from the prior version. When you control the batter he thinks for himself after you select your strategy of contact, power, and normal. Players seem to play the way they should save in the area of errors. Most players hit, field and pitch like they do in real life. 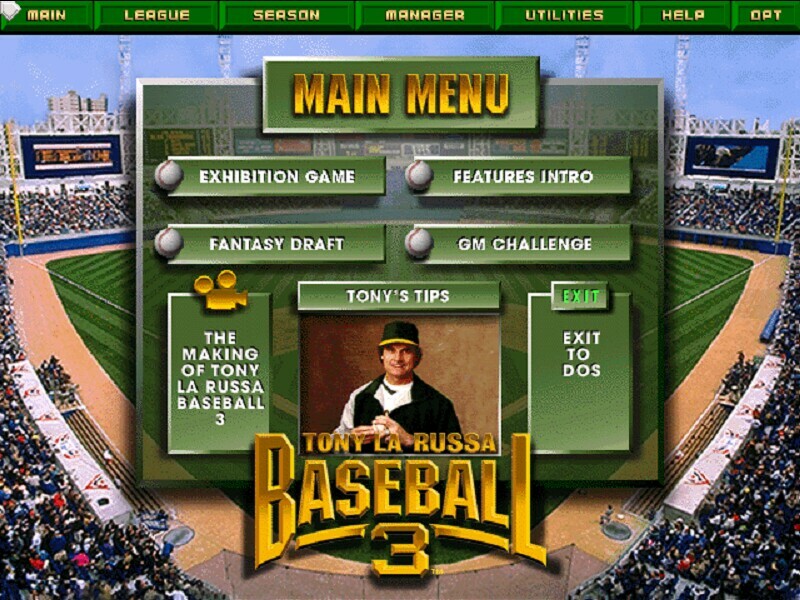 In summary La Russa III is the best of the baseball games to combine play, manage, and season replay modes during the mid 90s. It has a solid combination of stats, ratings, features, graphics, and sound. Though I'm not a big arcade player, I find the action mode engaging and light. And when it's time to sit down and build the perfect lineup, La Russa's vast collection of stats will serve you well. Stormfront took great care in creating a game both pleasing to both the artist and analyst.